We offer over a dozen flavour and filling choices, giving you a range of flavour combinations to choose from, from salted caramel to citrus flavours- all baked from scratch. Our confections are not mass produced and we do not stock frozen inventory. We believe in using real butter. We crack each egg and measure every cup of sugar. There are no substitutes or shortcuts, simply sweet goodness! Choose your cake or cupcake flavour from our menu and then choose one of our cake fillings to layer within your cake for added sweetness (the icing is the best part)! 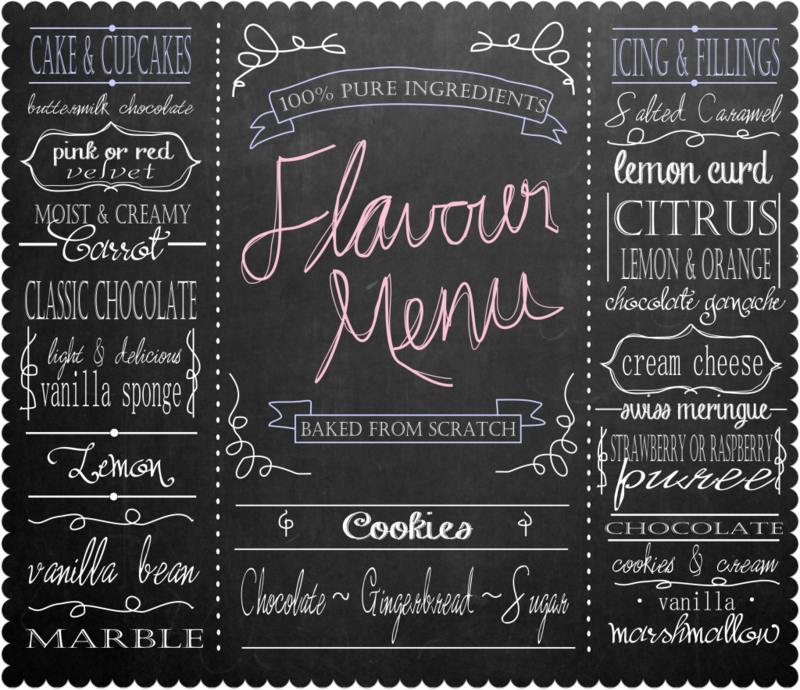 If you are looking for a flavour or filling that is not listed, please ask – we love trying new combinations! If you now have some flavours in mind and would like tor request a quotation or book a cake tasting for your upcoming event, contact the Baking Twins so we can help create a cake, cookies or cupcakes that taste just as good as they look!